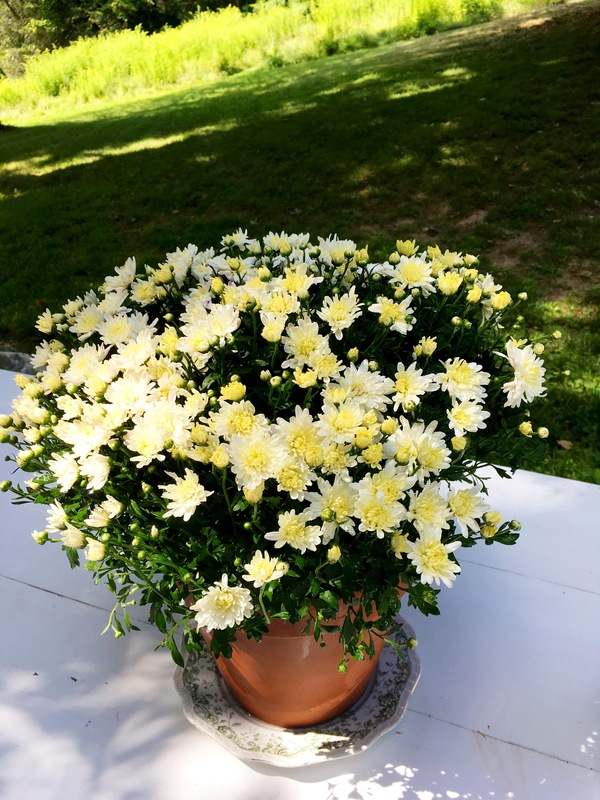 Flower Friday brings all the good things we found at the Hudson Farmers Market last Saturday with a mum thrown in for good measure. 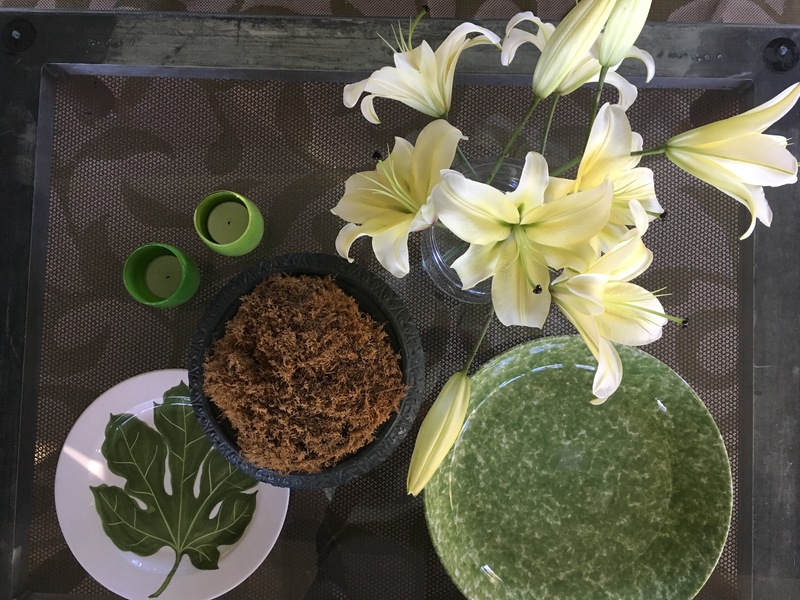 Herbs, fruits and vegetables can be such pretty things to weave into a table tableau. You can pluck a few leaves to use in cooking along the way while you enjoy their beauty at the table. I have become a big mum fan as they seem to be available here in the Hudson Valley at every turn. We often get in the car to go ‘exploring’ with no real plan or direction. Just drive around the back country roads meandering and seeing what we see. Often there are little roadside stands. Some attended and others with an honor system jar where you put in your money. 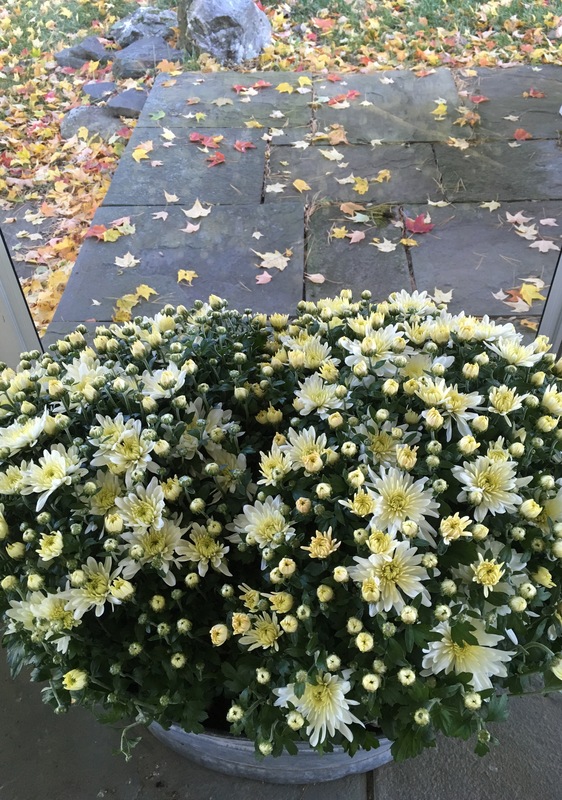 At 5 to 10 bucks for a big plant of mums, I have quickly become a convert. Plus they come in tons of colors. Of course the creamy whites with the starting hint of yellow are a favorite, working well with all the green in the house. Cheers to the upcoming last week-end in October! 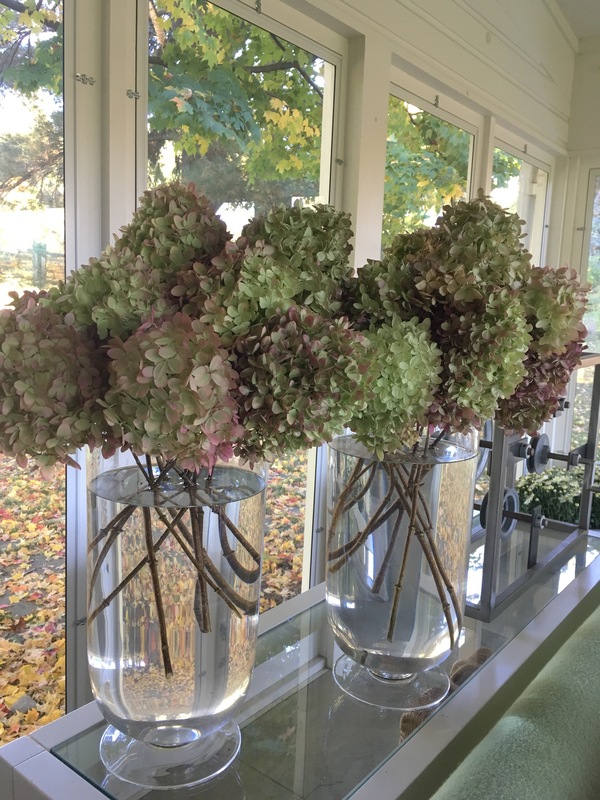 Flower Friday is a nod to the glorious arrival of Autumn and all the grandness it brings. The images from last year at this time at Hawthorne. We head there in a little over a week and we can hardly wait–where the season seems to be like a movie we watch change over the time of our stay. It is a fun contrast to Seattle, where the season is much more gentle. Back East, it is a riot of color. It is not a better, just different, and we feel quite fortunate to have both in our lives. 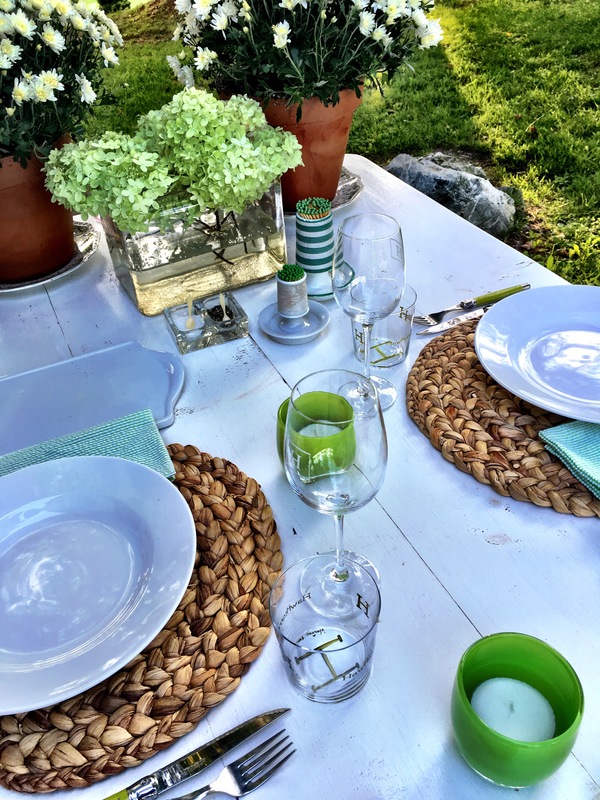 The below from the table I set for a photo shoot I did for Pottery Barn. The single lily floating in the vessel bringing a little yellow to the table. Use what you have, be creative, and enjoy the very most out of all of it–my motto for flowers, and certainly for life, as well. Flower Friday comes to you from Hawthorne where at the moment it is a spectacularly sunny, crisp Autumn October day. 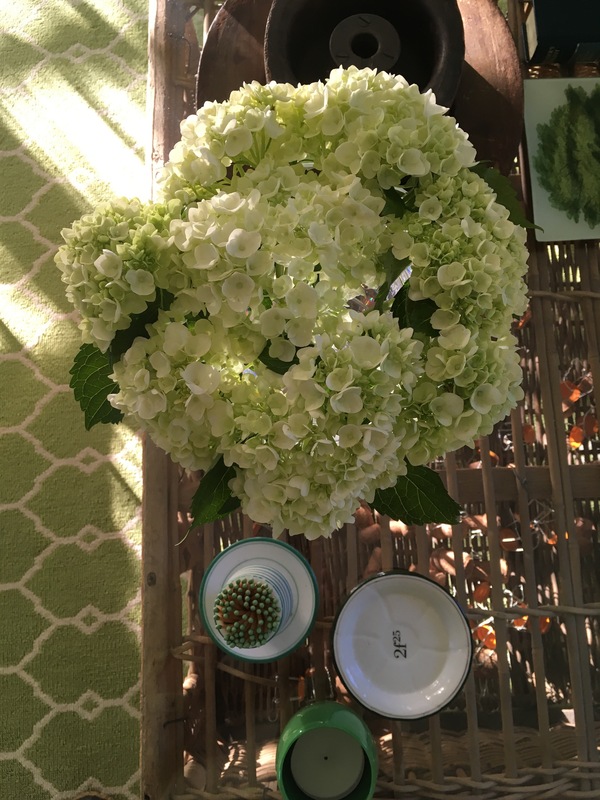 There is a mixture of grocery store, farmers market and things culled from the property blooms in the house–hydrangea, mums and lilies. They all make me wildly happy. I hope they bring you a bit of visual enjoyment too!